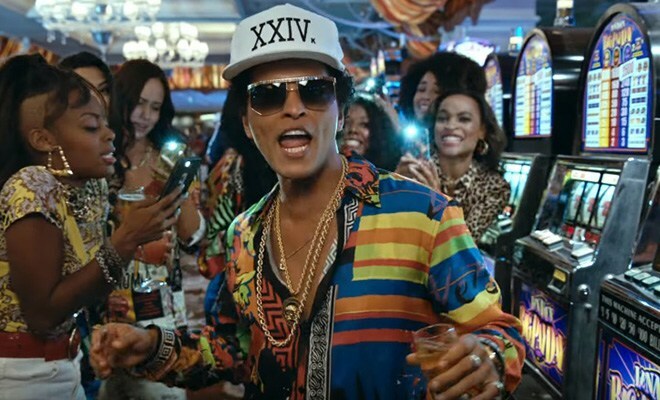 *During his tour stop Saturday night in Auburn Hills, about 30 miles rom Detroit, Bruno Mars said he is donating $1 million from his Michigan concert to aid those affected by the Flint water crisis, Page Six reports. Mars performed at the Palace of Auburn Hills during his sold-out 24K Magic World Tour. The Grammy-winning star told the audience that he and tour promoter Live Nation are redirecting funds from the show to the charity The Community Foundation of Greater Flint. The Flint water crisis began in 2014 when the drinking water source for the city was changed to the Flint River. Due to insufficient water treatment, over 100,000 residents were potentially exposed to high levels of lead in the drinking water. Former “Love & Hip Hop: Atlanta” star Joseline Hernandez is back at making music now that she no longer has time to fight with baby mamas and Millennials for VH1. But just because she’s no longer #turningup on cue for the cameras, it doesn’t mean she’s done with the reality series that made her famous. The self-proclaimed “Puerto Rican Princess” just dropped the tracks “Mi Cualto” and “Run Me My Money.” Of course, folks are wondering if the latter is aimed at L&HH creator Mona Scott Young, since Hernandez claims she is still owed money from her time on the show. But according to Stevie J’s baby mama, she’s talking about another group of women related to the show. Peep the clip above, in which Hernandez also dishes on whether she plans to return to reality TV and the status of her relationship with Stevie J.